My name is Charles “Chase” Walker III, 15 years old, Chairman of Wings 4 Wishes, aspiring Delta Air Lines pilot, 3 year and counting student council/ Rotary Interact Club, Rotary member at Saco Bay Sunset Club, Class of 2020 President at Old Orchard Beach High School and OOB365 volunteer. Let me tell you a how W4W landed here in Old Orchard Beach. It all started just before April Vacation 2016, I was chosen among three other classmates in my grade to represent Loranger Memorial School in an 8th grade leadership school at Camp Kieve in Nobleboro, ME. We practiced leadership and team building activity’s and also we had to make “action plans”; action plans are plans we wrote up on how to make our community a better place or how to give back. 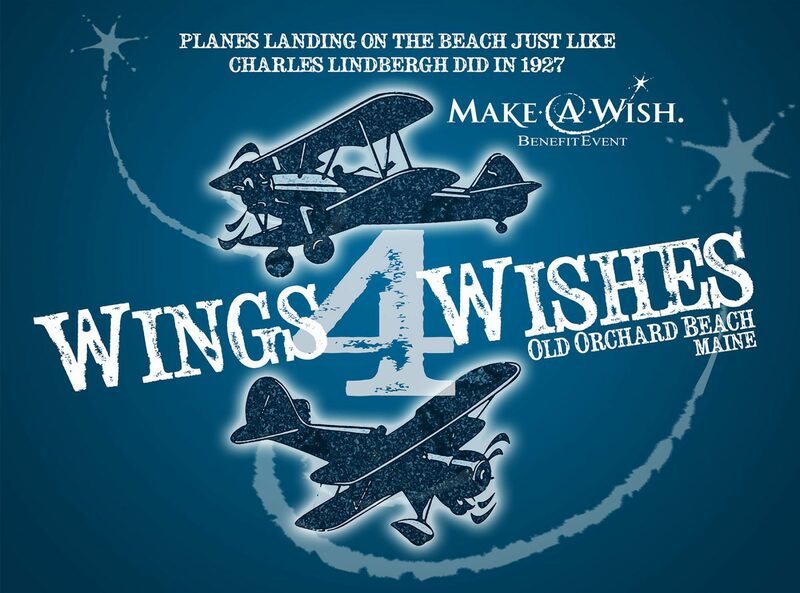 So I combined giving back plus our aviation history that happened right here in Old Orchard beach, and add the Make-A-Wish because I watched the 60 Minutes segment on Make-A-Wish. Thats how the idea of W4W was created. Once I came back from the Leadership Camp, my Language Arts teacher Mrs. MacDonald “Mac” and I created a letter to all pilots which some 0f you had gotten from me. Then Mrs. Mac told me to go see her sister Sharri MacDonald, President of OOB365 to get more information on how to start W4W because she has set up lots of local events like the popular Scottish Festival that happened in June.We have approval from The Town of Old Orchard Beach. So far 30 pilots and we have reached our maximum capacity.